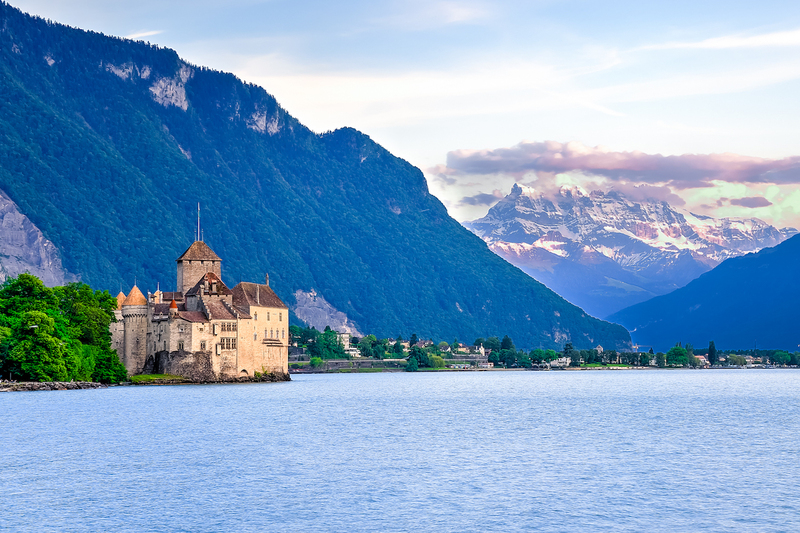 Experience the fantastic region between Lake Geneva, Montblanc and Valais. World-famous cities such as Geneva, Chamonix, Montreux and Lausanne as well as some acquaintances of the most famous peaks of the Alps such as the Matterhorn and Montblanc await you. 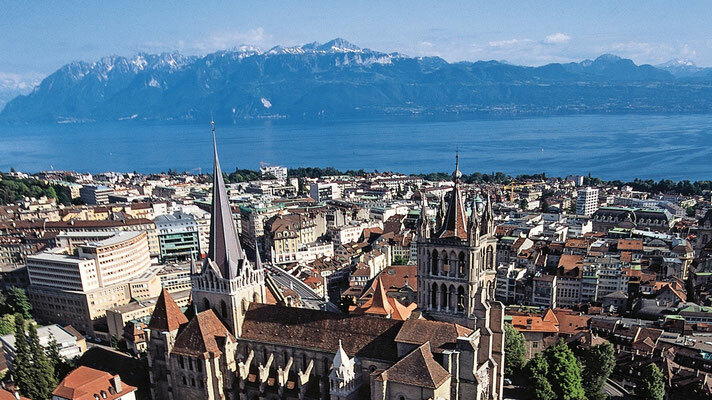 But the region offers much more: huge castles, beautiful nature, the Chablais Geopark in the south of Lake Geneva or the steep wine terraces on the northern shore of the lake, both are UNESCO World Heritage Sites. We show you this region by bus, train and boat from fascinating perspectives! 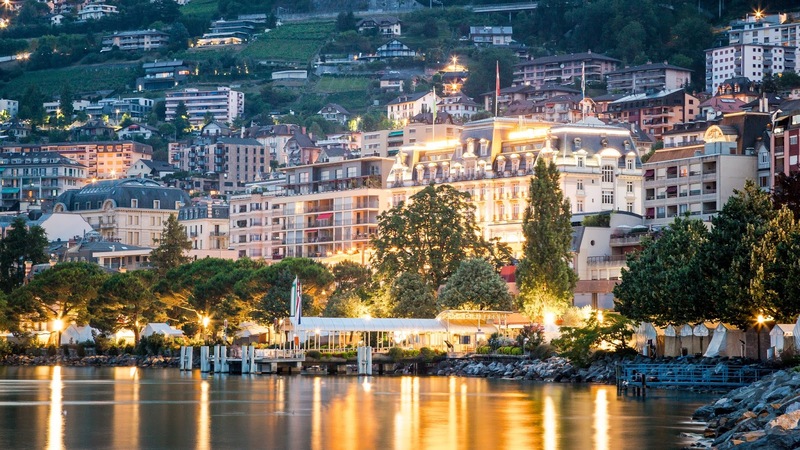 Arrival in the Lake Geneva region via Bern and Montreux, hotel accommodation, welcome drink and dinner. You will stay in very comfortable chalet hotels of the upper middle class. In the morning you drive to the world-famous thermal spa town of Evian, where the water of the same name comes from. It can still be filled free of charge in the town centre at the Cachat spring. Afterwards you drive past the magnificent castle of Ripaille to Geneva. 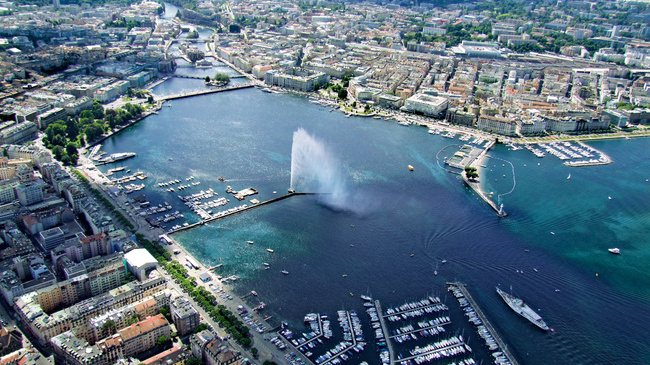 Discover the international city with the 130 m high water fountain in the lake during a city tour, which also takes you to the UN district. Afterwards you board one of the historic liner ships, some of which are still powered by paddle wheels, and take a relaxing boat trip to Yvoire, the most beautiful place on the lake. From the harbour, stroll through the medieval village around the castle, which has been in family ownership for hundreds of years. A detour to the Garden of the Five Senses (entrance) is also worthwhile. In the evening return to the hotel, dinner and overnight stay. Today you drive via the famous French high alpine road "Route des Hautes Alpes" and the Arve valley to Chamonix, probably the most famous place in the French Alps. The Olympic town of 1924 owes its reputation to its location on Montblanc, Europe's highest mountain. Several glaciers lead from the mountains down to above the village. After a stroll through the sophisticated city centre, the trail leads through the nature park of the high peaks towards Switzerland. Several four-thousand-metre peaks line their way before they have a breathtaking panorama from the Forclazpass from the Valais to the Rhone Glacier. At the foot of the pass we await you in the original Bernhardiner breed of the great Saint Bernard. Besides the dogs, which you may pet once, you will learn many interesting things about the dangerous pass height and the monastery, which sometimes lies under 11 m of snow in winter. On request, sample of the famous Valais pear brandy "Williaminé" at the prestigious Morand distillery. Afterwards return to the hotel via the small villages of high Savoy and the monastery of Abondance. In the morning, they travel by boat across Lake Geneva from Evian to the Olympic city of Lausanne. Here you have time to stroll along the lake promenade and meet your bus again at the Olympic Museum. Afterwards we pass the largest Gothic cathedral in Switzerland and above the Lavaux vineyard, which is a UNESCO World Heritage Site, to Gruyère. Stroll through the medieval village. Afterwards visit to the cheese dairy including tasting of three types of Gruyère cheese. Continue to the celebrity town of Gstaad. The Panorama Express awaits you here and takes you back to Montreux on a breathtaking trip to Lake Geneva. Stroll along the beach promenade to the famous casino of Montreux and then drive home past the moated castle of Chillon to the hotel, dinner and overnight stay.